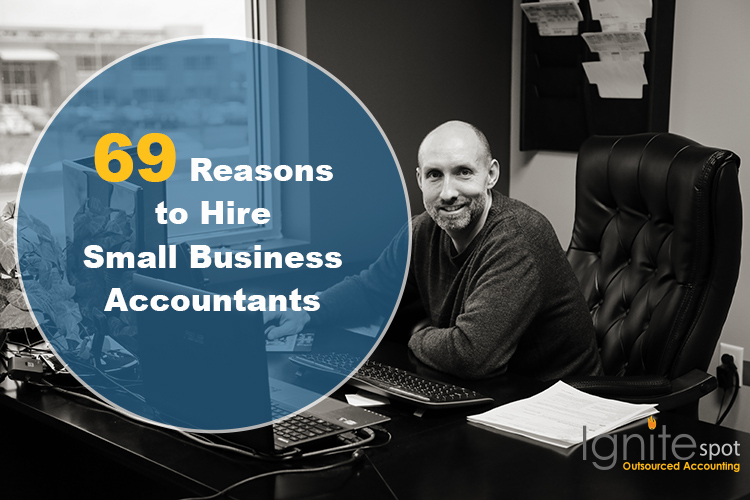 Are small business accountants really worth the cost? Most entrepreneurs do their best to take care of the books themselves or have a family member do it. We get it - it's about saving money, but did you know there are 69 irrefutable benefits to passing the books over to an accountant? It's true. Here they are in all of their glory. p.s. Once you get an accountant, click here to see a checklist of the things they should be doing for you! Get your books current and keep them that way. Know how much cash you have in your bank accounts at all times. Build a better invoice template. Avoid interest and penalties on late payments. Get your information to your CPA easily. Focus you time on customer satisfaction and acquisition. Get your sales tax reports done. Let them do the 940s, 941s, and more. Be compliant in your payroll responsibilities. Get a monthly balance sheet. Get a monthly income statement. Set a budget and follow it. Get out of debt quicker with a debt reduction plan. Spend more time with your family versus a pile of receipts. Be prepared if you get audited. Look better in front of customers and vendors with proper documentation. Be able to say, "I'll have my accountant look at that and get back to you." Improve your cost control strategy. Get help tracking time and expenses. Get custom reports created daily, weekly or monthly. Get the paperwork off of your desk. Get someone who specializes in finance and can improve systems. Have your accountant on speed dial. Know the full-burden cost of your employees. Get updated on key business metrics. Know the tax consequences of a decision before you make it. Get your fixed assets organized. Avoid paying for unapproved expense reimbursements. Stay connected to your finances without getting bogged down. Compare your company's financial performance to industry benchmarks. Sleep better at night knowing it's handled. Use your free time to read a Seth Godin book. Improve company culture with strong finances. Create a cash buffer against rainy days. Set up finance charges for customers that pay late. Get a collections process in place. Implement accounting tools on your cell phone. 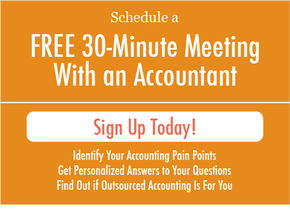 Stay educated on new accounting requirements. Have someone that can deal with state documents. Create a hiring budget for key staff members. Calculate the ROI on marketing systems. Lower your cost per unit. Make sure your credit card gets paid on time. Use your excess cash to invest in growth. Create accounting processes to prevent fraud and theft. Know how much inventory you have. Know what your inventory is worth. Make sure you're booking loan payments correctly. Ensure that your business partners are being financially fair. Have a financial system that you can rely on.